If there’s one thing The Walking Dead is known for besides great makeup, it’s killing characters off. But two of the show’s actors can breathe a little easier today as producers announced they’re upping their characters to season regulars. Avi Nash, who plays medical resident Siddiq, and Callan McAuliffe, who plays former Savior Alden, are both moving from recurring characters to regulars for Season 9 according to The Hollywood Reporter. Both Siddiq and Alden entered the action during Season 8 and joined up with main groups. Siddiq came across Rick and Carl in the woods, but was turned away by Rick. Carl later found him again, and Siddiq was there when Carl was bitten by a walker, which made his entry into Rick’s group difficult to say the least. Alden left his Savior community and gave himself up as a prisoner to Maggie’s Hilltop group, where he’s worked to show himself worthy of his freedom by trying to prove that he never really bought into the Savior philosophy anyway. The series is known for generally sticking pretty close to the plot of the comic book it is based on, though it has spared viewers some of the gorier scenes from the book (if you can believe that). With characters, though, they sometimes tweak things to make them fit the needs of the series. That’s what they did with Siddiq, who was working as a fisherman in the book when he joined up with Rick’s group. On the show, he’s a doctor and has cemented his role in Rick’s group as their source of medical help, something invaluable in any dystopian landscape. Alden’s character doesn’t have a counterpart from the book, says THR, but there is speculation that he could be a stand-in for the character Dante, which would eventually make him a love interest for Maggie. 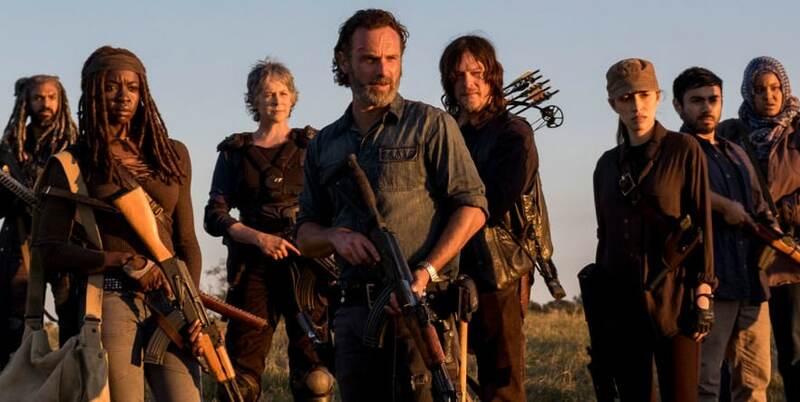 However their roles develop, Nash and McAuliffe will rest easier tonight knowing that they may be chased, they may have to fight, they may meet a lot more difficulty, but at least for the meantime, they should be sticking around The Walking Dead.